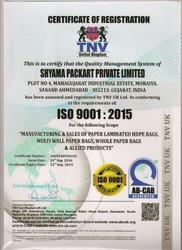 We "Shyama Packart Private Ltd." are well-known manufacturer, exporter and wholesaler of a wide assortment of HDPE Paper Bags, Multiwall Paper Bags, Aluminum Foil Laminated Paper Bag, Paper Shopping Bag, etc. We also provide Flexo Printing Service to our clients. 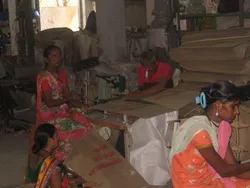 Our offered bags are designed and manufactured in compliance with global quality standards by utilizing HDPE (High-density polyethylene) and modern technology under the direction of quality controllers. The product range is highly demanded in the market due to attributes such as high strength, water proof, light weight and moisture resistance. Also, we provide our products in various sizes and other specifications at market leading prices. Our team of quality inspector thoroughly tests the offered assortment of bags on various quality parameters by making use of modern testing tools. Under the fruitful guidance of our Director “Mr. Janak Patel,” we are climbing the ladder of success. In addition to this, we are backed by huge warehouse that enables us to store products in secure manner and handled by storekeepers. Our organization is backed by devoted and adroit team of professionals. The professionals working with us strive hard in designing and manufacturing flawless range of bags. All our professionals easily adapt to the changes taking place in the industry and are deployed after conducting proper recruitment drive in which their skill and experience is evaluated. Also, we organize important training sessions, seminars and industrial tours in order to keep our professionals updated with recent development. We are actively occupied in providing a wide range of bags in various specifications. 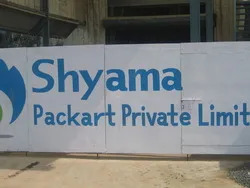 At "Shyama Packart Private Ltd.", we are having lamination plant, central ceiling and gumming machine, two color and three color flexo printing machine, online printing machine, stitching machines. With this equipment, we can manufacture 10 to 12 lakhs paper laminated HDPE bags and 5 lakh multiwall paper bags per month.